Hello all, today we will be weighing in on one of the most resourceful mobile applications in Lagos called Beat Traffik. They recently updated the mobile application with new updates so I decided to let you all know about it. 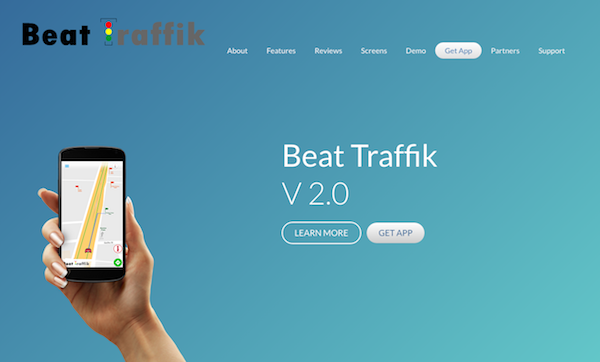 Lagos-based traffic monitoring platform, Beat Traffik has released an update for their mobile app. 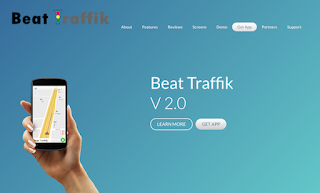 The update, Beat Traffik v2.0, is available for Android devices, and it comes with features that allows users receive traffic, accident, and robbery reports; view places of interest; and watch drone traffic videos. Beat Traffik, founded by Odionye Confidence and Popoola Tobi, is a mobile and web application that provide users with live traffic updates. It was founded in 2014 and has since then helped about 10,000 Lagos commuters avoid traffic through its twitter account and a prototype web application. Auto reroute: The app automatically reroutes users based on traffic conditions, navigating them through free or slow traffic areas. Places of interest: Where users can locate fuel stations, eateries, hospitals, etc. in their areas. Commuter Direction Service: Users can either call to get informed of traffic situations and possible alternatives to take, or they can arrange for Beat Traffik to call them on a subscription basis at a fee of N1,500 monthly. Drone traffic feeds: That’ll let users watch live videos taken from Beat Traffik drones. If you’re wondering how the Beat Traffik team can even use drones in Nigeria in the first place (because there’s still that issue of ridiculous drone regulations), the answer is determination. BeatTraffik for iOS is in the works and it’s just a matter of time before it’ll be released. Meanwhile, Beat Traffik’s partnered with SilverBird Television (STV) so viewers can watch live drone traffic videos on TV. The videos air every week day on STV at 4:55pm.